I've probably experimented with close to fifty varieties of deciduous trees and shrubs for bonsai and niwaki creation since the early 80s and I must say I do have a list of my all time favorites and one for my least favorites. In my first ten years I did take the time to check out all the likely candidates of traditionals that were feasibly available either as plants or seed. 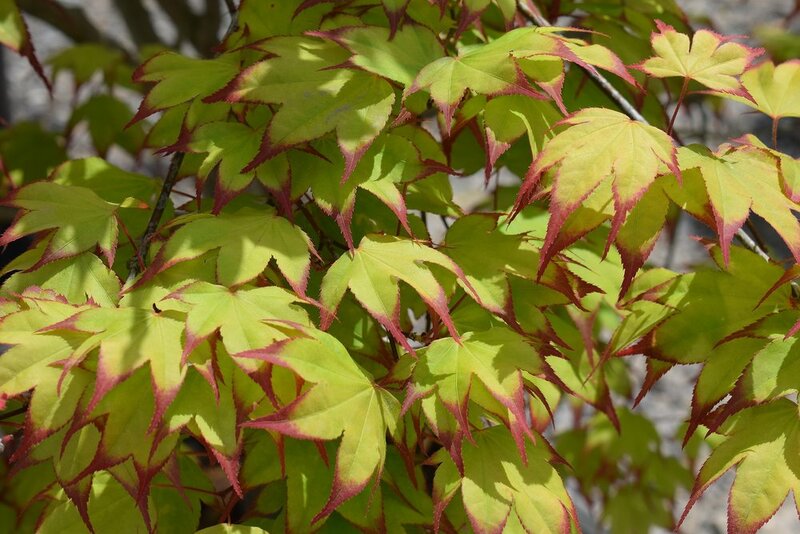 With certain cultivars of Japanese maples (Acer palmatum, japonica and shirasawanum) comprising the bulk of my favs there are a few others I continue to work with. The beloved Korean hornbeam (Carpinus coreana) is most worthy with great structure, leaf and bark. The same can be said for Japanese beech (Fagus crenata), except viable seed is so difficult to obtain these days. Although not suitable for most of the northern latitudes Nothofagus antarctica surely is a standout with excellent bark, small foliage and fine fall coloration. Tilia cordata offers some unique recent dwarf introductions that show great promise with short internodes and small foliage. The Ulmus group has always been fun to grow and exciting to create with so I'll continue with a couple varieties here as well.Some favs I'd love to get back to include Prunus incisa 'Midori' with its small chartreuse leaves, sakura flowers and its wonderful compact habit, Corokia cotoneaster, the semi-deciduous Japanese mountain azalea, Rhododendron kiusianum in assorted flower colors and the wild thyme azalea, Rhododendron serpyllifolium. I've kept the Ginkgo, Larix, and Metasequoia filed with the evergreen/conifer section, where they rightfully should be. Looking for a particular plant? Search the deciduous tree catalog below or go directly to our deciduous store. From a witch's broom discovered in Australia, this dense twiggy gem will grow 2-3" annually and not exceed 6' in height or width. The tiny 3/4" green leaves in summer start out and end the grow seasons with yellow/orange with pink overtones. An excellent subject in the small landscape and real nice for Bonsai. Full sun. Zone 5. A Wabi Sabi Favorite!